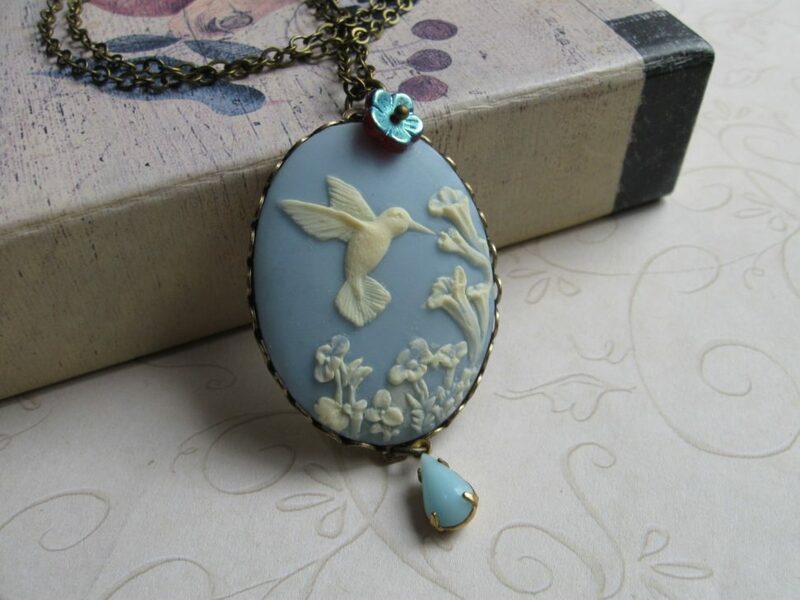 Here is a lovely vintage style hummingbird necklace, comprised of a large blue cameo, which features a lovely flower and bird design. This pretty cameo is nicely detailed and is set in an oxidized brass setting, there are two sweet accent beads, one tiny flower bead and one blue glass teardrop bead, which dangles from the bottom. 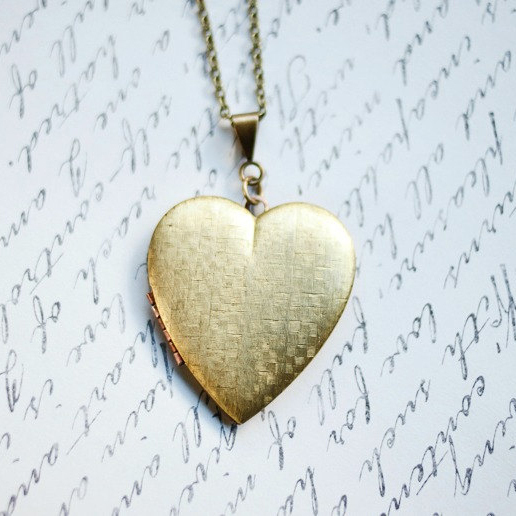 You may also order this necklace without the accent beads, by choosing from the drop down menu.This pendant is suspended from a high quality, long brass chain. 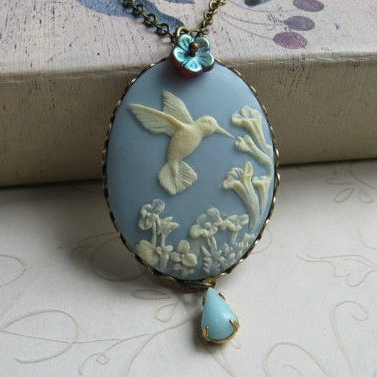 This cameo necklace is shipped in a lovely gift box!